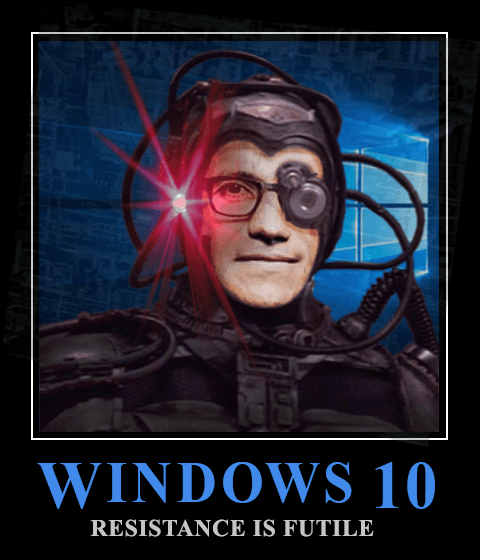 It’s public knowledge that Windows 10 collects user’s personal data for telemetry and mining for MS. It is certainly a matter of concern because we know that it’s not possible to trust American companies these days. cough*NSA anyone?*cough. Unfortunately, there is no way to disable this annoyance on our PC because MS didn’t bother to provide any option to even opt-out. There are a few options in the privacy section in the settings app that can restrict the amount of data that Windows collects from us. You can disable them one by one. Go to Settings app > Privacy > Feeback and diagnostics. Set the Feeback Frequency to Never in the drop-down menu. Go to the Settings app > Privacy > Feedback & Diagnostics to change how much detailed data Windows 10 will send to Microsoft’s servers. You can read the official notes on their official web page. Select Basic from the drop-down menu. Search Powershell in the Start menu and open the Windows PowerShell app. Type the following command and press Enter. You can also use the Command prompt and SC Config to disable this service. Just type the following and press Enter. In the same PowerShell window, type the following command and press Enter. As with disabling diagnostics services, you can also disable DWM Push services with command prompt with the following command. Right-click on the DataCollection folder and go to New > DWORD (32-bit) Value. Give it the name AllowTelemetry and value of 0. After all of this is done, you can restart your PC for the changes to take effect. Doing the above will remove Windows 10’s ability to send feedback, telemetry data, and other personal data to Microsoft’s servers. One more thing that you can do is install an app called Shutup10. It is a 200KB app that can disable extra diagnostic services in Windows 10 that can compromise your privacy. You can download ShutUp10 from their official website. Once downloaded, open the OOSU10.exe with admin privileges. You will see a bucket load of options that you can disable. In the main screen, click on the Actions button on top to reveal the main settings. Click on Apply all recommended and limited recommended settings. If it asks for creating a restore point, select OK. All your settings will be applied. And this is it. After making all these changes to Windows 10, it should send the minimum amount of data to Microsoft’s servers effectively protecting your privacy. Set-Content : A positional parameter cannot be found that accepts argument ‘start=disabled’. Please update this commands, I want to disable all telemetry if possible because at Windows start 15-30 min. Windows Compatibility Telemetry service cause HDD usage near 100% and the computer is unusable. If I cannot fix this problem, I’ll downgrade to Windows 7. Once again, thank you for your article. Actually, being the only account doesn’t matter in Windows. The error you got was error: Access is denied. That implies that you forgot to run PowerShell as Admin. Without that, you can’t implement systemwide changes on your PC. Thank You. This was my problem. It was helpful for a long time, but now it kills the deployment process of Windows 10 1809. Any attemp to deploy an 1809 OS Image fails with a “Why did my PC reboot” loop at the end of the oobe phase if the two mentioned services are not running.